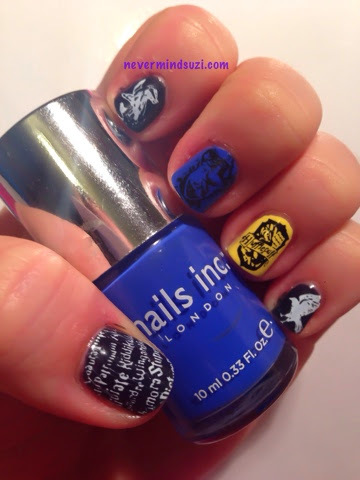 I've just been having another play with my fab Vanity Nails, Harry Potter stamping plate. 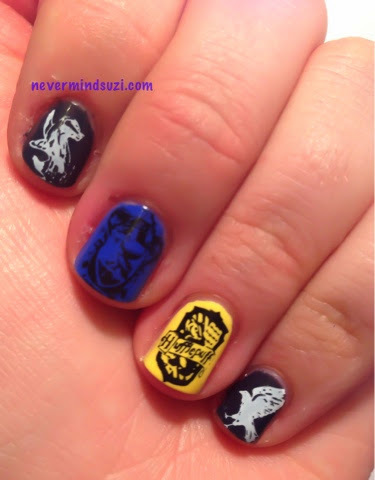 I decided to to go with a Ravenclaw and Hufflepuff theme. 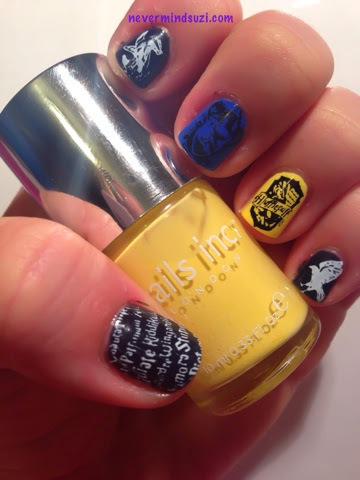 I wore the blue and yellow on my accent nails and the relevant Crest on each. A raven on my pinkie, badger on my index and on my thumb I stamped some spell names.